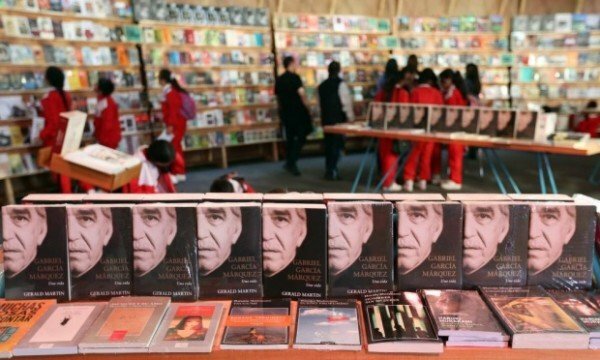 A signed first edition of Gabriel Garcia Marquez’s One Hundred Years of Solitude has been recovered after being stolen from a book fair in Bogota, Colombia. According to police, the book was taken last weekend from a locked cabinet at the International Book Fair in Bogota. The book belongs to a collector who bought it in 2006; it was later signed by the author, who died in 2014. Police say it was found on a used book stall in Bogota. They suspect antique dealers were behind the robbery. The book is estimated to be worth $60,000 but its owner says his copy is priceless. It disappeared on May 2 from a locked cabinet at the Corferias exhibition centre in Bogota where it was being exhibited as part of the book fair. Gabriel Garcia Marquez, who won the Nobel Prize for Literature in 1982, was Colombia’s most famous and critically acclaimed author. Following Gabriel Garcia Marquez’s death in Mexico in April 2014, first editions of his novels have risen in value.